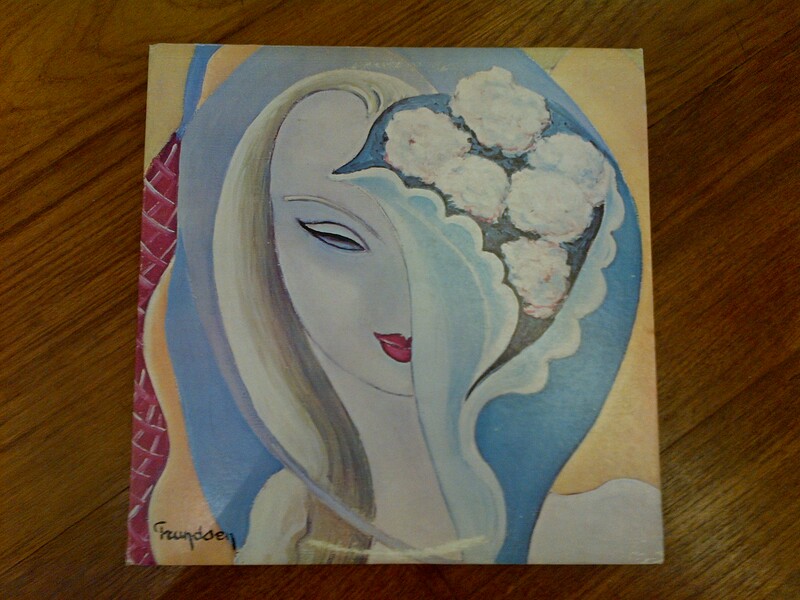 My first real musical memory of Eric Clapton was his “Unplugged” album, and especially “Layla”, which seemed the most interesting song on the album. Two decades later, as I sit listening to the original version, I’m struck by how it combines both ferocity and tenderness. The unplugged Layla, in comparison, is wan and sickly sweet. That, unfortunately, is the case with much modern Loire Chenin Blanc, especially from the clay-chalk soils of the Touraine (e.g. Vouvray, Montlouis). There are two related factors at work here – consumer demand for wines which are approachable young, and generally warmer vintages leading to riper grapes with gentler acid profiles and sometimes more residual sugar. 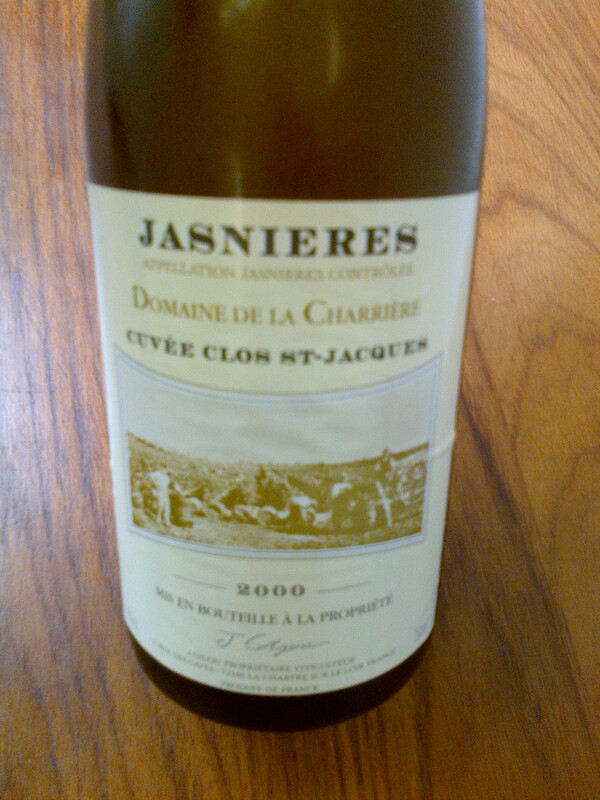 So I rejoiced when Joël Gigou of Domaine de la Charrière agreed to release the enigmatic, austere and decidedly old-fashioned 2000 Jasnières «Clos St-Jacques». The «Clos St-Jacques» is Joël’s favourite parcel, with vines dating back to the 1930s and plenty of silex mixed in amongst the clay and chalk. He undertakes the pruning himself, explaining that the vines are too precious to trust anyone else, and takes the same level of care throughout the year. The 2000 vintage seemed promising until the rains came right before harvest in September; many growers harvested bloated grapes and made diluted wines, while those who tried to wait it out were rewarded by rot racing through their vineyards. Joël waited out the rains, discarded the bad bunches, and made a wine which rose above the wretched weather. The nose is archetypal Chenin on silex – lanolin, tea leaves, almonds and flint – and the palate a rollercoaster ride of electric acidity and mineral dryness. We are finally releasing this wine as part of our Prêt à Prendre series. It is both a compelling wine and a remarkable time travel machine, a glimpse into how Chenin Blanc used to be made. Decant several hours ahead and serve at around 14°C; it also improves for at least a week after opening. S$321 for a half-case of six bottles (regrettably we do not have sufficient wine to offer full cases). Prices include GST; no further discounts applicable.